If you are interested in volunteering and want to know more, please email the P&C Committee: pandcbalcattashs@gmail.com or contact the school on 9345 8200. Whether it’s pitching in for a school bake sale, helping out the kids’ sports team, or supporting local families doing it tough, community fundraising is one of the best ways we can make a real difference for the people and causes we care about most. 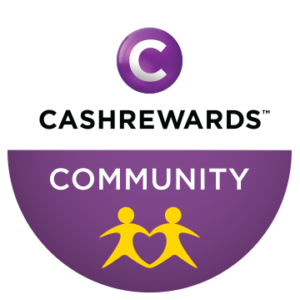 We are working with CASHREWARDS, who are Australia’s largest and most trusted Cashback shopping site. Just by doing your everyday shopping with CASHREWARDS, you’ll be rewarded for every purchase. The way it works is simple. Just use the direct link to shop over 1,200 of your favourite brands and they will give you up to 25% Cashback (not points!) on your purchase. By shopping through CASHREWARDS, each brand pays them a commission and they pay most of it back to you – It’s that easy. An added bonus is that you can use CASHREWARDS to make a massive difference for our fundraising efforts too. Simply join CASHREWARDS through our unique landing page, not only can you take advantage of all the special offers and Cashback, CASHREWARDS will donate $10 to our fundraising efforts on your behalf if you join and shop, and the best part is, it’s FREE to join. From groceries to getaways you can earn Cashback and help raise much needed funds for our school all while stretching your own shopping budget that little bit further.